Seven weeks after Israeli spacecraft Beresheet (Hebrew for Genesis) soared into the night sky at Cape Canaveral, Florida, commencing an epic 6.5 million km. journey, it is poised to make history on Thursday evening when it reaches the Moon. Only three countries have completed the formidable task of landing a spacecraft on the lunar surface – the United States, Russia (then the USSR) and China. The tiny State of Israel is set to join that prestigious club of cosmic superpowers. Beresheet, the ambitious project developed by SpaceIL and Israel Aerospace Industries, has been making history even before the unmanned vessel was launched on February 22, becoming the world’s first spacecraft built by a non-governmental organization. Last week the spacecraft left the Earth’s orbit and began its descent to the lunar surface. Only seven countries have been able to successfully place a spacecraft in the Moon’s orbit. While such an achievement alone is already a source of pride for Beresheet’s engineers, the eyes of nine million Israelis and people across the Earth will be fixed on the Mare Serenitatis (Sea of Serenity) on Thursday evening at approximately 10:30 p.m. local time, with high hopes for a successful lunar landing. “The most significant thing is not just becoming the fourth country to land on the Moon, but our desire for young people in Israel to go and learn science,” Yigal Harel, head of SpaceIL’s spacecraft program, told The Jerusalem Post on Wednesday. With elections in the rearview mirror, Israelis are now focusing on the moon. 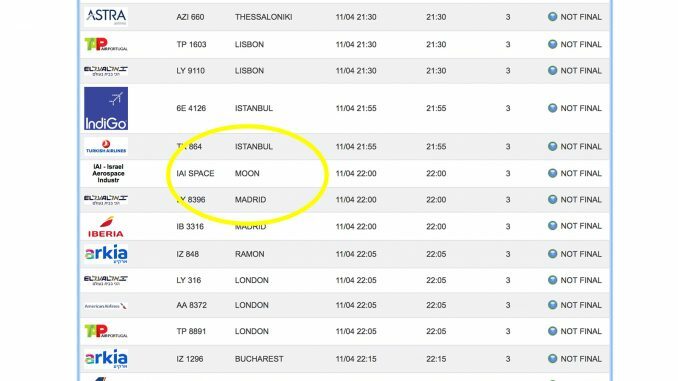 Alongside incoming flights from Istanbul and Madrid, the Israel Airports Authority listed the Beresheet moon landing on its arrival timetable. The flight carrier is identified as Israel Aerospace Industries and the landing scheduled for 10 p.m., although the landing is actually expected to take place at 10:25 p.m. 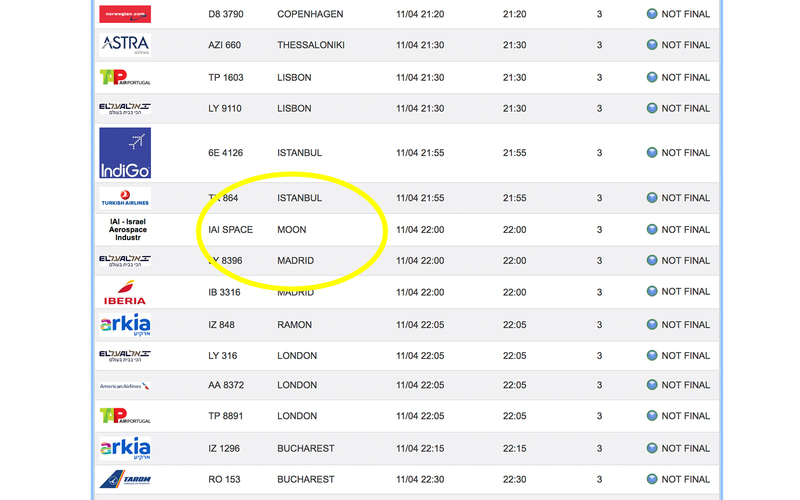 Marked as “not final,” Beresheet’s touchdown is expected at Ben Gurion’s Terminal 3, according to the site. The four-legged spacecraft is expected to land in the Sea of Serenity after 47 days and 6.5 million kilometers of flight, making Israel the fourth country to land a spaceship on the moon. Today it is a thriving city on the Med and Israel’s second most populated city. Col. Ala Abu Rukon has been appointed military secretary to the president of the State of Israel Reuven Rivlin, the IDF announced Thursday. Abu Rukon, who is currently serving as the IDF military attaché to China, will replace Brig.-Gen Boaz Hershkovitz – who has served in the role for the past three years – and be promoted to the rank of Brigadier General. He was appointed following a decision by Rivlin together with Prime Minister and Defense Minister Benjamin Netanyahu and IDF Chief of Staff Lt.-Gen Aviv Kochavi. Over 85% of Druze voluntarily serve in the IDF with a large majority in combat positions or in special units and border police, with many reaching senior positions in the military and police. The 47 year-old Druze resident of Usfiya holds a PhD in Middle East Studies from Bar-Ilan University and is a married father of four children. Abu Rokun has served in the IDF for the past 25 years beginning as a soldier and commander in the Paratroopers Brigade, and continuing in a series of command posts in the Intelligence Branch for many years. Pilots from Israel and the United Arab Emirates are flying alongside one another as part of Iniohos 2019, Greece’s largest annual military exercise. The drill started on April 1 at the Andravida Base in the Peloponnese and will end on April 12. The United States, Italy, Cyprus, and almost the entire Hellenic Air Force (HAF) fleet are taking part in the drill, which consists of complex air operations and also includes naval and ground forces. “The objective of the exercise is to provide realistic operational training in conditions that resemble a complex, multi-threat combat environment to maximize the operational capabilities of the Air Force,” read a statement released by the HAF. As part of the exercise, Israeli pilots took part in a formation of seven aircrafts, consisting of F-35s, F-4, M-2000 and Tornado jets flying over central Athens last week. “Given the high level of the HAF personnel and our capability to conduct exercises involving a variety of weapon systems within one of the largest exercise areas in Europe, the INIOCHOS exercise tends to become one of the most competitive exercises in Europe and the Mediterranean region, and provides participants with a high level of training and a unique experience of participation,” HAF observed. Florida’s Governor Ron DeSantis will lead a business development mission to Israel in his first international trip since taking office. “I promised to be the most pro-Israel governor in America and that the first delegation I would lead would be to the State of Israel,” DeSantis said during a visit to Temple Kol Ami Emanu-El in Plantation, Florida, this week. The aim of the six-day visit from May 25 through May 31, the Republican governor’s office said, is to strengthen the economic bonds between Israel and Florida and to connect academic institutions to facilitate scientific solutions for Florida’s environmental challenges, such as red tide. During the mission, the delegation will visit Tel Aviv and Jerusalem, and DeSantis will hold a cabinet meeting at the US Embassy in Jerusalem. The Democratic senate minority leader in Florida’s state legislature defended against claims she is anti-Semitic after she opposed a bill that would mandate schools to deal with allegations of anti-Semitism in the same way they address racism. State senator Audrey Gibson argued she is being mischaracterized by the media and said she is “a champion for all people, all races and all religions,” the Tampa Bay Times reports. Rep. Randy Fine, a Jewish Republican, compared Gibson to Reps. Ilhan Omar (D., Minn.) and Rashida Tlaib (D., Mich.). “It is sad that in the world propagated by Washington Democrats like Congresswomen Ihlan Omar and Rashida Tlaib and Tallahassee Democrats like Audrey Gibson, fighting anti-Semitism is ‘divisive,’” Fine said. [Netanyahu] seems to have succeeded again this time for the same reason he has dominated Israeli politics for most of the past 25 years: because when it comes to Israel’s national security, he is a leader with strategy and vision. And that is what many voters want. In the mid-1990s, during his first term as prime minister, Netanyahu rejected the assumptions underlying the peace process with the Palestinians. At the time this was considered daringly right wing. Today, it is considered common sense in Israel, including by Netanyahu’s political rivals. Likewise, Netanyahu was one of the first politicians to recognize Iran as the main threat to Israel’s survival, and fought fiercely in international forums to get the world’s attention to this problem. Today, this view is also widely appreciated across the Israeli political spectrum. The list goes on: in 2005, he warned that withdrawing Israeli troops from Gaza would end in disaster—and it did. He successfully resisted eight years of the Obama administration’s pressure to offer concessions to the Palestinians. He quickly forged an alliance with President Trump that has already proved to be of great benefit to Israel. . . . The Old Labor-Left Really Is Dead: In 1992, the year before the Oslo Accords were introduced with much fanfare, Labor and Meretz, the twin pillars of the Zionist left, won a staggering 66 seats in the Knesset, giving them a strong mandate to pursue their peace plans. This week, Labor and Meretz eked out a combined 10 seats, far less than the haredi parties, which won 16, and exactly the same as the two Arab parties, Hadash-Ta’al and Ra’am-Balad. 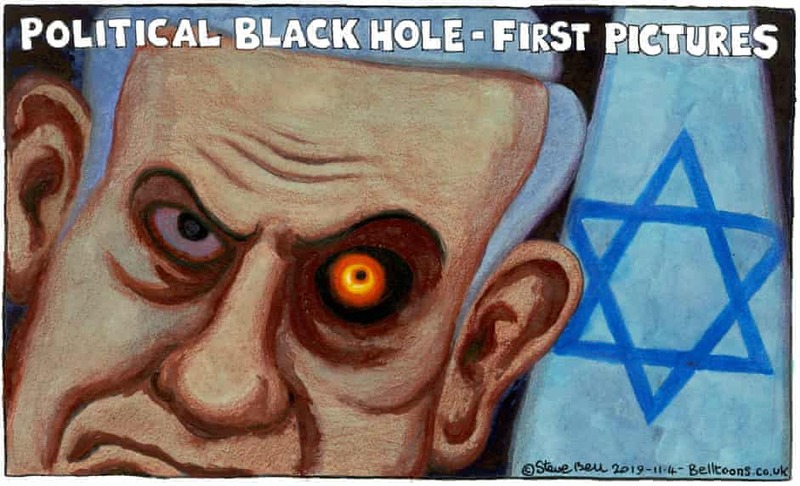 Considering the fact that Gantz’s party, Kachol-Lavan, had very few, if any, substantive disagreements with Netanyahu’s Likud, the meaning of this is stark and simple: The left, as it has existed for generations, is thoroughly, unequivocally, and irreversibly dead. Having run for decades on poses rather than policies, it failed to produce a coherent answer to the question that was foremost in most Israelis’ minds, namely what to do when the so-called partner for peace, the Palestinian Authority, giddily and unabashedly cheered on and paid for the murder of innocent Israelis. Instead, the left talked about identity politics—a favorite of Meretz’s new leader, Tamar Zandberg—and invested more and more of its communal resources in addressing audiences in Berlin, London, and New York but not in Netanya, Petach Tikva, and Be’er Sheva. It’s likely that the slew of NGOs that make up the contemporary left’s beating heart—many with robust funding from European governments and other foreign sources like George Soros’ Open Society Foundations—will continue to campaign anywhere but at home, with the political parties that support them continuing to pay the price. Bibi Really Is a Political Genius: Anyone doubting Bibi’s political prowess should do little but look at the numbers of seats Likud won in recent elections. In 2003, under the leadership of Ariel Sharon, the party enjoyed a robust 38 seats; in 2006, with Netanyahu back at the helm, the number dropped to 12. It was 27 in 2009, 31 in 2013, and 30 in 2015. It now stands at 35, and may very well grow. This means that Netanyahu has successfully maintained his party as a cohesive, coherent political powerhouse, growing its influence from year to year. Labor teamed up with Tzipi Livni and then broke off the deal; Sharon quit to start Kadima; Yair Lapid joined Benny Gantz; the Arab parties ran together and then apart. Netanyahu alone was a capable custodian not only of national security and the economy, but also of his party’s stability; when other candidates hoped to attract voters by presenting themselves as the new and exciting flavor of the month, Netanyahu offered them something much more valuable: a long-term relationship. Like every long-term relationship, it was rocky and often imperfect. But it offered precisely the sort of emotional gratification and sense of confidence no tall and handsome stranger could ever conjure. Given the enormous amount of focus that Israel receives in the foreign press, it’s hardly surprising that plenty has been written in the aftermath of what appears to be a Benjamin Netanyahu victory in the just completed Israeli election. HonestReporting does not endorse any political party within Israel. We do, however, have the benefit of being on the ground, working and living in Israel and actually taking part in the elections. But what about all of those foreign media outlets that are relying on their own journalists or external commentators for the “expert” analysis in order to decode what is a particularly complex democratic exercise with uncertain and fluid outcomes? Surely, the most obvious and even representative commentators and analysts to write about an Israeli election would be … Israelis? Why bother when you can trot out anti-Israel extremists to give their nasty agenda-driven analyses? Take the LA Times, which gives a platform to Saree Makdisi, a UCLA professor with a track record of falsely accusing Israel of apartheid, maliciously claiming that Israel deliberately kills Palestinian children, urging an academic boycott of Israel, and calling for Israel to be dismantled as the Jewish state – effectively for its destruction. We have previously called him out for questioning why anyone should recognize Israel’s right to exist, accusing Israel of collective punishment in Gaza, and claiming that anti-Israel campus activists are the victims of a campaign of intimidation. Didn’t take too long, did it? Within hours of the publication of Israel’s election results, the first truly shocking media headline arrived, courtesy of the Huffington Post. This is the front page of the @HuffPo. “Israel votes extreme”, screams the hysterical headline. The majority of voters did not vote for extreme parties, and controversial figures such as Moshe Feiglin, Ayelet Shaked and Naftali Bennett find themselves in the political wilderness. An explosive device was thrown at a bus near the Palestinian village Jinsafut in the northern West Bank on Wednesday night, the IDF reported. The device did not explode and did not cause any injuries, but damaged the bus. The search for the perpetrator is ongoing. A police car was hit by a molotov cocktail near the Shuafat neighborhood in Jerusalem on Wednesday night. Police are currently searching the area. The car was damaged. No injuries were reported. The recent Egyptian-sponsored ceasefire understandings between Israel and Hamas are not a peace or truce agreement, senior Hamas official Saleh Arouri said on Thursday. Arouri, who was speaking by phone to supporters during a rally at Bir Zeit University, north of Ramallah, said that his movement will not accept any solution that calls for recognizing Israel. Late last year, the US State Department announced a $5 million reward for information which would lead to the capture of Arouri and two senior Hezbollah members. Born in the West Bank, Arouri is one of the founders of Hamas’s military wing, Izaddin al-Qassam, and is responsible for several terrorist attacks against Israeli civilians and soldiers, including the 2014 kidnapping and murder of three Israeli teenagers in the West Bank. The ceasefire understandings, he said, are not a “political agreement or a truce” with Israel. He claimed that Hamas did not face any preconditions for being part of the understandings. Hamas, Arouri said, has taken a decision to end the blockade on the Gaza Strip through its force and the weekly protests along the border with Israel, known as Great March of Return. Arouri, who is currently based in Lebanon, revealed that Hamas and Israel recently conducted indirect negotiations through Egypt concerning the conditions of Palestinian prisoners held in Israeli prisons. The reported negotiations apparently came after Hamas inmates stabbed and wounded two prison guards a few weeks ago. “This was the first time that the leaders of the Palestinian resistance had intervened to negotiate with the occupation about the affairs of the prisoners,” Arouri said. Terrorist prisoners have been hunger striking¹ for the last 3 days. At an April 9, 2019 event honoring Iran’s ninth National Nuclear Technology Day, Iranian President Hassan Rouhani authorized the installation of a cascade of 20 IR-6 centrifuges. The master of ceremonies asked the crowd to wave their flags in honor of the “Jihadi efforts” of Iran’s nuclear industrialists and scientists, of the Atomic Energy Organization, and of other relevant organizations. Rouhani then delivered an address in which he said that economic sanctions cannot and will not succeed in blocking the progress and development of the Iranian people and their scientists. He stated that Iran has unveiled 114 new technologies in the past year via the Atomic Energy Organization. Addressing Iran’s enemies, he added: “If you persevere in your injustice and wrongdoing, you will also see a chain of IR-8 centrifuges in the not-so-distant future.” The event aired on IRINN TV (Iran). Sudanese president Omar al-Bashir was ousted by the army on Thursday, brought down by months of anti-government protests against his three decades of iron-fist rule. “I announce as minister of defense the toppling of the regime and detaining its chief in a secure place,” Defense Minister Awad Ibnouf said in a somber televised address to the nation. Seven decades after Germany had to reckon with the crimes of the Nazi era, a new generation of war criminals are being put on trial for joining Islamic State. In Munich, a man and woman have been charged with chaining a five-year-old Yazidi girl outside in the heat and “leaving her in great agony to die of thirst.” More than a thousand Germans are thought to have joined ISIS. The case is the first of its kind to address the war crimes perpetrated by German citizens who became ISIS members. The defendant in this case is a 27-year-old woman, who has been allowed to protect her identity by hiding her face in court and being known only as “Jennifer W.” She showed no emotion in Munich when charges were read, according to The New York Times. She is charged with murder, war crimes, membership in a foreign terrorist organization and other crimes. The woman and her partner are accused of having gone to Iraq in August 2014 and joining ISIS. This was during the height of ISIS power, when it kidnapped thousands of Yazidi women and children and systematically murdered more than 5,000 Yazidi men in a genocidal attempt to ethnically-cleanse the minority group in Iraq. ISIS also murdered more than 1,500 Shi’ites in Camp Speicher in June 2014; massacred Bedouin tribes; cleansed Christians from areas of Iraq and Syria; and kidnapped Shi’ite children from Tal Afar. Yet 5,000 Europeans, including converts from Europe, joined ISIS in the summer and fall of 2014, hoping to take part in the genocide. According to reports, the German woman was active in the ISIS “Hisbah” or morality police, and she helped the terrorist group colonize cities in Iraq. Much as SS members had once done in Ukraine, Poland and other countries, she helped ISIS enforce its laws in public areas. “Her job was to make sure that woman were upholding the terror organization’s dress and behavior codes,” the report notes. She was able to go back and forth to Turkey, where she oddly went to the German Embassy in Ankara in 2016. Turkey detained and deported her.